Call an attorney with extensive experience in business law. Kenneth E. Davison helps clients with matters involving the sales of large and small business, employment and labor matters, commercial litigation, acquisitions and mergers, and more. Take your business further with guidance from K E Davison, P.C. Mr. Davison has handled acquisitions and mergers for a wide range of businesses from small entrepreneurial startups to multimillion dollar companies. With advanced graduate and professional credentials, Mr. Davison has experience providing legal counsel to national businesses, investors, executives, and professionals. His areas of practice include the selection of business entities, formations, dissolution, and restructuring. K E Davison, P.C. regularly provides counsel to its business clients concerning employment and labor issues. Services range from drafting and implementing employment policies and manuals, to the preparation and implementation of key employee employment agreements and the defense and resolution of claims before the Texas Workforce Commission and EEOC. Collecting debts can be a complex process. Mr. Davison represents and advises creditors in the collection of debts, including claims before the United States Bankruptcy Court. K E Davison, P.C. provides legal advice to regional and local lenders as well as individual and corporate borrowers in a variety of commercial and secured lending transactions. 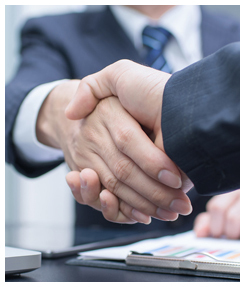 Mr. Davison handles litigation issues pertaining to business and commercial transactions. His clients include lending institutions, private businesses, and large and small corporations, contractors, builders and other businesses.